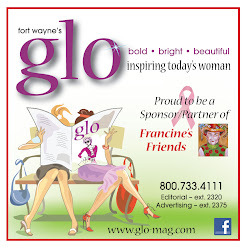 OmniSource and SDI have been long-time supporters of Francine's Friends and the support of breast cancer awareness. They were sponsor's of this year's fundraising event "Lunch with Francine's Friends" and participated in both our grassroots public capital campaign "50k in 50 Days!" and as a major funder of the new coach. 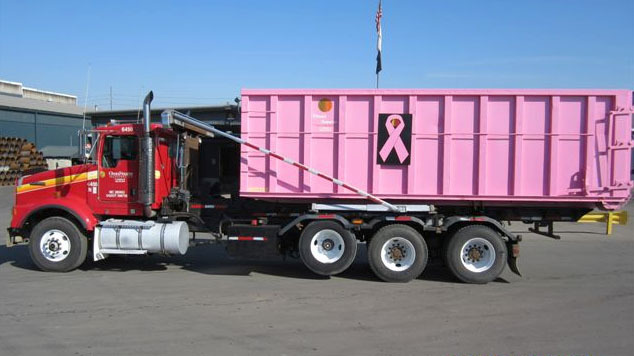 The OmniSource Marketing Group came up with a great idea for another way to show support for breast cancer awareness by painting one of their roll-off boxes pink! They also designed a ribbon magnet that included the OmniSource logo to put on the box. Breast cancer has affected some of the OmniSource employees as well as other important people in the lives of so many. Says the article in ScrapRap, the company newsletter "Our 'pink box' shows that OmniSource supports this important cause.” The pink box is located in Fort Wayne and the ribbon magnet is also on some of their company trucks.